New hope for severely ill patients has been the guiding principle for a large part of Peter’s career in the pharmaceutical industry. 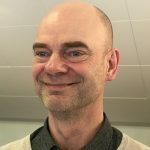 “Among the most enjoyable and meaningful work I have had is to be part of building a new Nordic organization within an area where treatment was previously lacking,” says Peter. The last 5 years, the work has been carried out through his own company, where the assignments varied between developing a business case for a new product to work globally visiting subsidiaries to develop launch plans for future Drugs. Peter has focused on marketing and sales all the way from the studies at the Stockholm School of Economics but has over the years been working with launches of new pharmaceuticals and been involved with all departments at a pharmaceutical company. When the working day is over Peter like to go sailing, do yoga and to spend time with dear ones. Welcome to join our LinkedIn group.